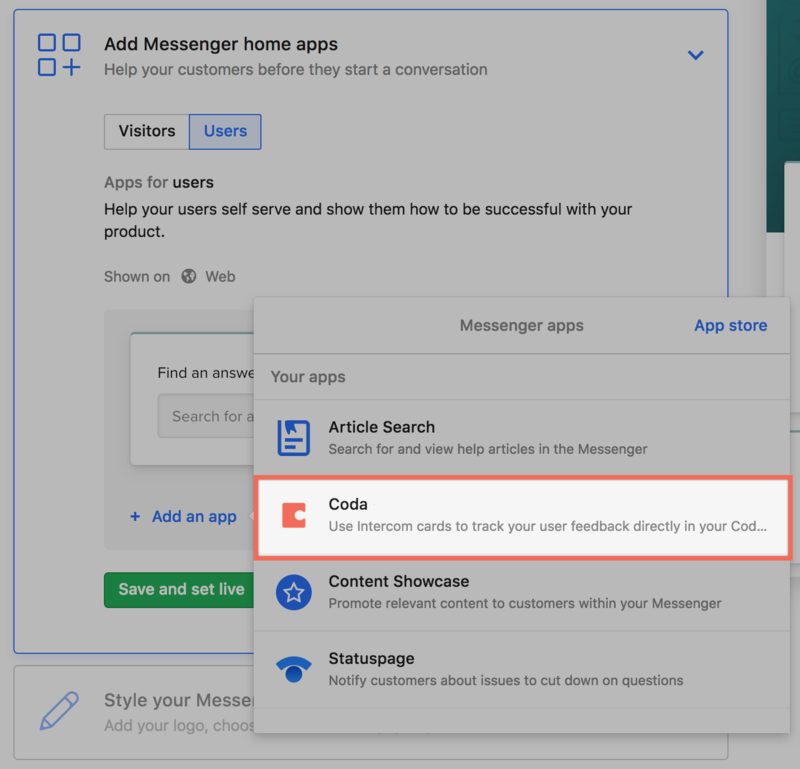 In this article, we'll cover how you can quickly integrate the Coda user feedback app directly in the Messenger Home. 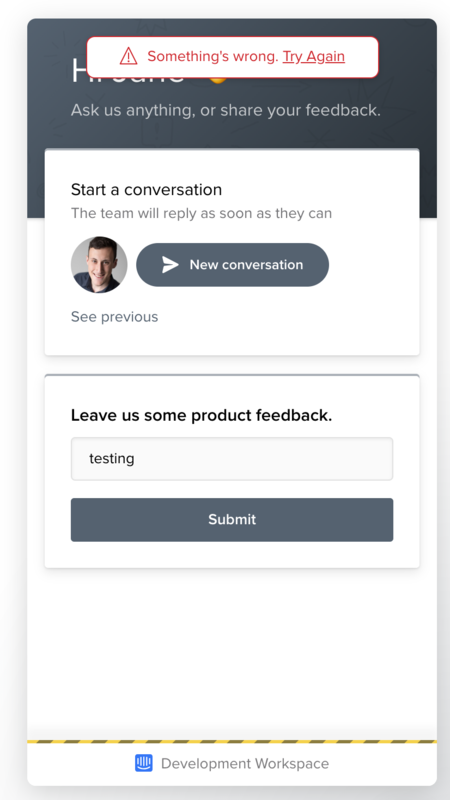 Once you've completed these steps, you'll have a new feedback capturing card in your Messenger that will automatically collect user context and feed it into a shiny new User Feedback doc. Let's get started! 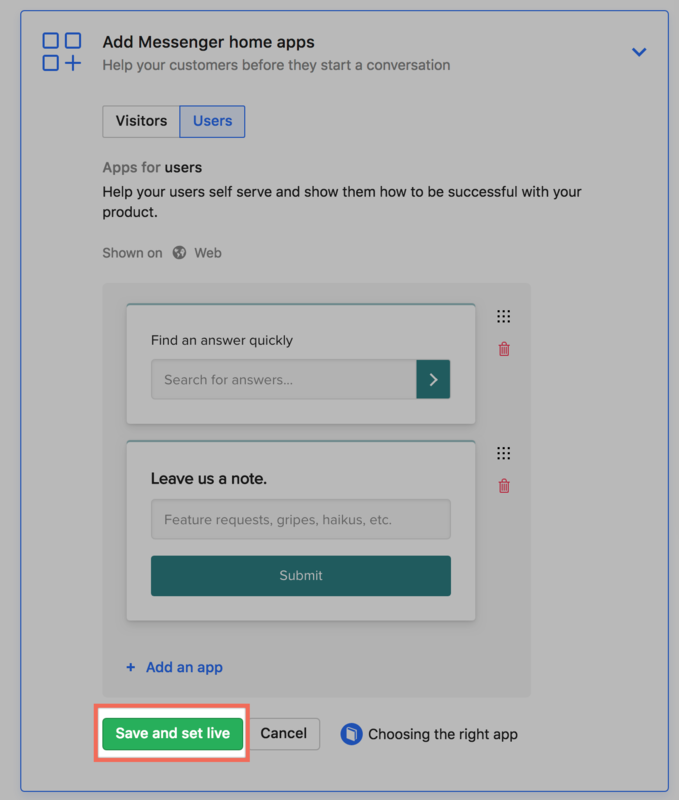 To set up the app, you'll need access to your Intercom instance's App Store, the ability to install apps, and the ability to configure the Messenger Home. 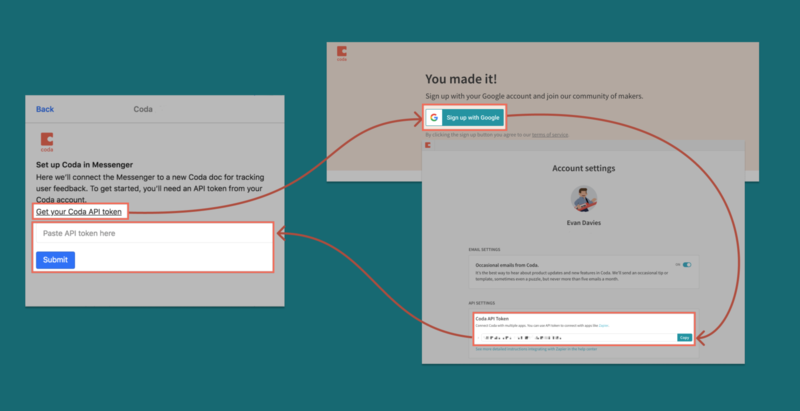 You'll also need a Coda account (but don't worry - if you don't have one already, you'll have a chance to create one in the steps below!). 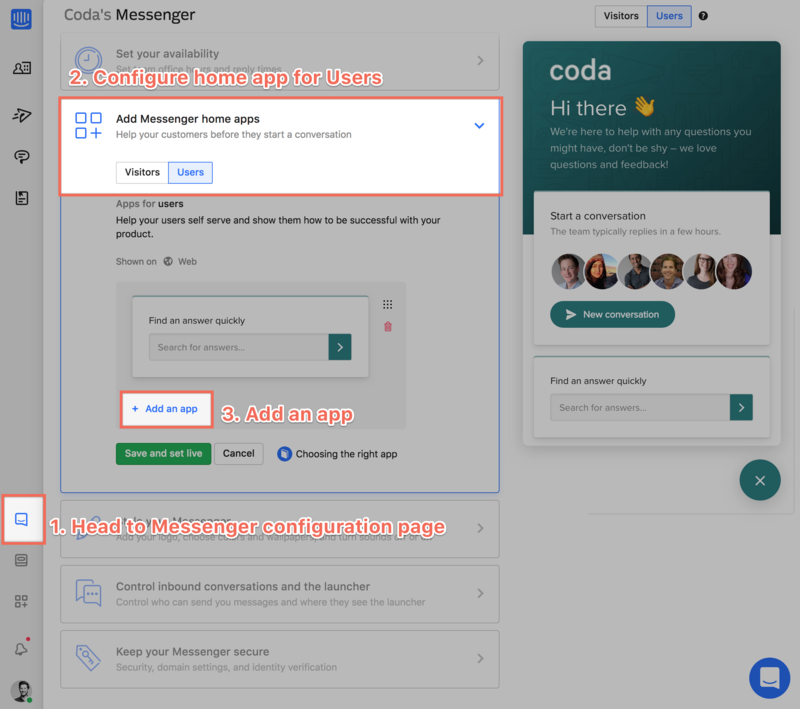 Once you've set up the initial connection between Intercom and Coda, you'll need to head to your Messenger configuration page to add the Coda app to your Messenger Home for Users of your product. 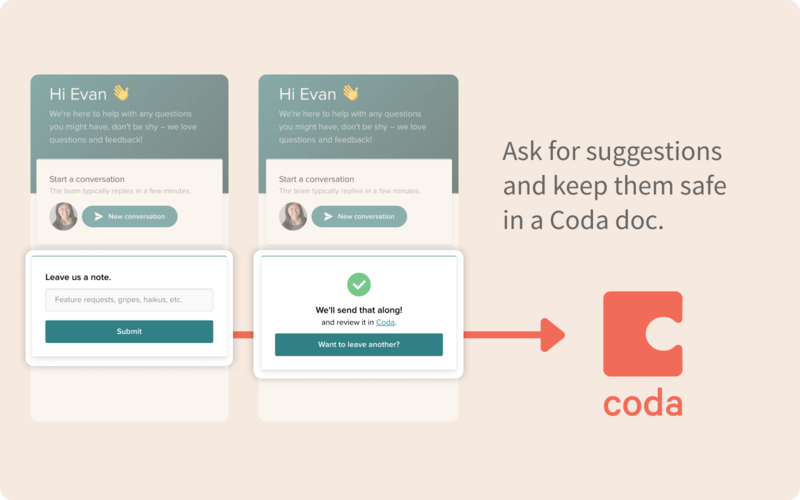 Adding the app will guide you through a few steps to create and integrate the Coda User Feedback Template. 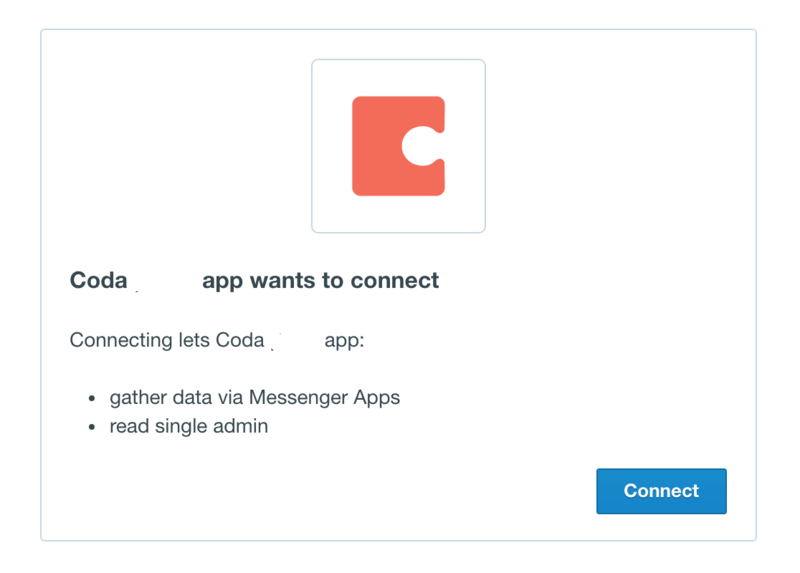 ...and follow the instructions to get your API token (a one-time-setup to link the Messenger App to a doc in your Coda account). During this step, you'll be guided through creating a Coda account if you haven't created one yet. 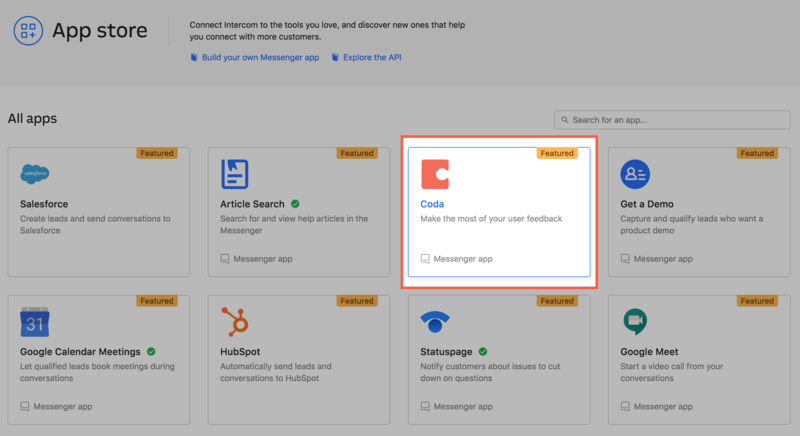 Once you've pasted in and submitted your API token, Coda will generate a copy of our User Feedback template and automatically connect it to the Messenger App. Click on the link provided to see your doc -- all the feedback captured will flow into the All Feedback table. Just one last step once you click Finish - don't forget to "Save and Set Live"! And you're done! 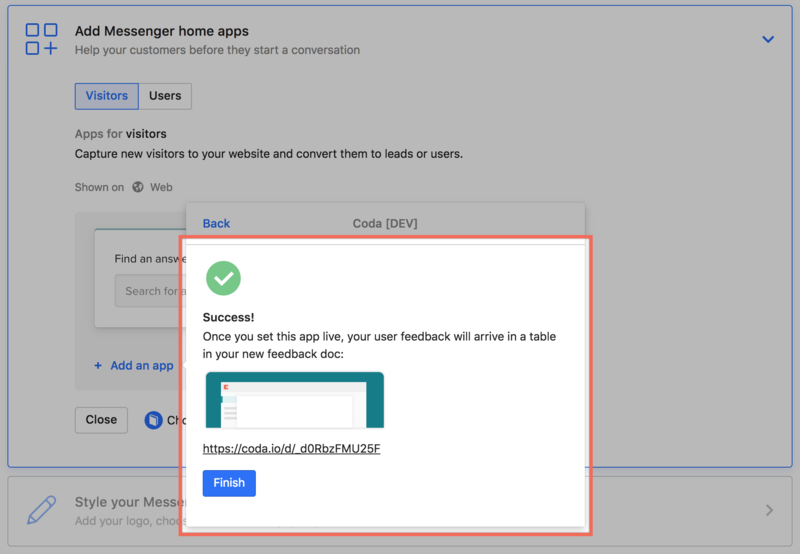 Check out this article to see how you can incorporate more feedback sources into your doc. Customers see the error: "Something's wrong. Try Again"
If any of the required columns are deleted in the feedback table of your Coda + Intercom doc, the integration will break. Hiding columns is OK. 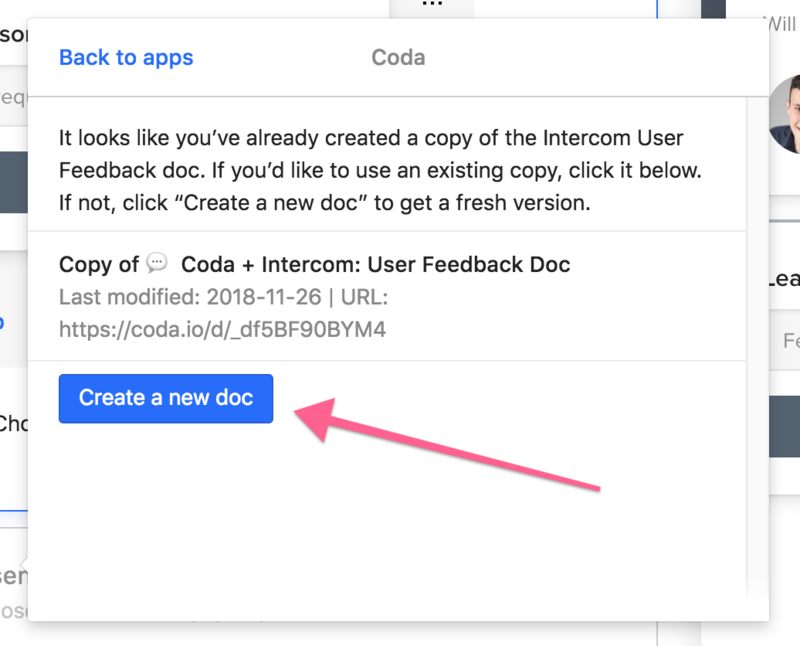 Create a new Intercom app and create a new Coda doc. Copy and paste the data from the old doc into the new doc. Make sure to click Create a new doc in the dialog above.